WASHINGTON — The top Republican on the House intelligence committee said he has not seen any evidence to back President Donald Trump’s claim that the Obama administration wiretapped him during the 2016 campaign and suggested the news media were taking the president’s weekend tweets too literally. Top former Obama administration officials have refuted Trump’s claims. Trump asked Nunes’ committee and the other congressional committees investigating Russia’s interference in the 2016 election to look into this matter. 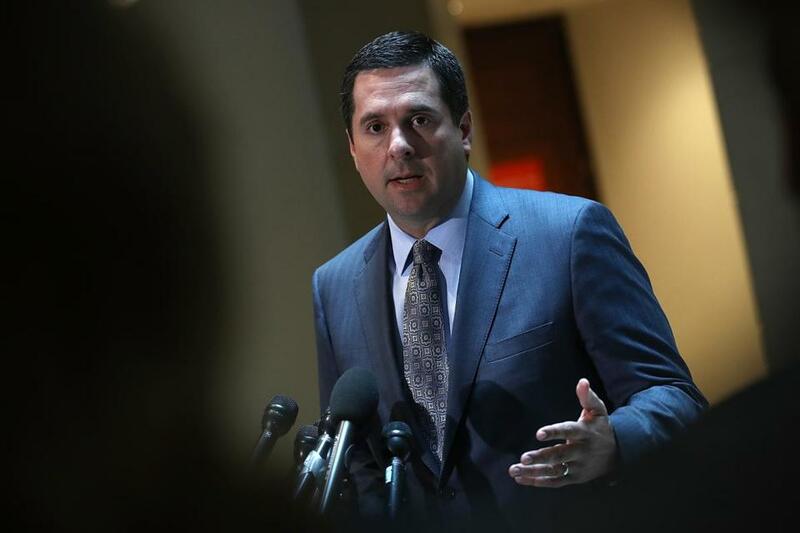 Nunes, who was a member of Trump’s transition team, said whether the Obama administration had secret warrants to listen to Trump or his associates during the campaign would have been part of his committee’s investigation regardless. Nunes also said the first public hearing of its investigation would be held March 20. And the initial invite list includes the directors of the FBI and National Security Agency as well as former top Obama administration intelligence officials and two cyber security experts. The committee has the power to subpoena officials to testify, but Nunes did not indicate that the committee had plans to do so and said he hoped they would come freely. The ranking Democrat on the committee, Rep. Adam Schiff, D-Calif., said he planned to ask FBI Director James Comey directly about the matter at the hearing, which is scheduled on the first day of a confirmation hearing for Supreme Court nominee Judge Neil Gorsuch. The House intelligence committee is one of three congressional committees investigating Russia’s interference in the 2016 election. The Senate intelligence committee is conducting a separate investigation, and most of its hearings are expected to be closed to the public to discuss classified information. A subcommittee of the Senate Judiciary Committee held its first hearing related to its investigation on Tuesday.